In the recent decision of Sonact Group Limited v. Premuda SPA  EWHC 3820 (Comm), the English High Court confirmed its pro-arbitration approach to the interpretation of arbitration agreements. The Court held that an arbitration agreement contained in a charterparty contract could apply in relation to disputes arising out of a subsequent settlement agreement contained in correspondence between the parties relating to the sum allegedly due under the charterparty. The Court concluded the parties could be taken to have intended that the arbitral tribunal under the principal agreement would also have jurisdiction over disputes arising out of a settlement agreement between the same parties, despite the absence of an express arbitration clause in the settlement agreement. On 30 October 2017, the International Chamber of Commerce (“ICC“) published guidance designed to provide greater clarity on the scope for “immediate dismissal of manifestly unmeritorious claims or defences” under Article 22 of the 2017 ICC Rules (the “Rules“). The updated practice note follows the introduction by several leading arbitral institutions of express ‘early dismissal’ provisions in their latest rules. The ICC did not follow this trend in March 2017, but confirms in its updated practice note that it considers that Tribunals’ general case management powers under Article 22 of the Rules already include such tools. In ADM Asia-Pacific Trading PTE Ltd v PT Budi Semesta Satria  EWHC 1427, the English Commercial Court rejected an application for an anti-suit injunction on the basis of undue delay. This decision mirrors the Court's approach in Ecobank v Tanoh and Essar v Bank of China, which we previously covered here and here. It also reiterates that the Court's discretion to reject an application for an anti-suit injunction is not limited to instances where the delay is unconscionable or has caused prejudice to the respondent. 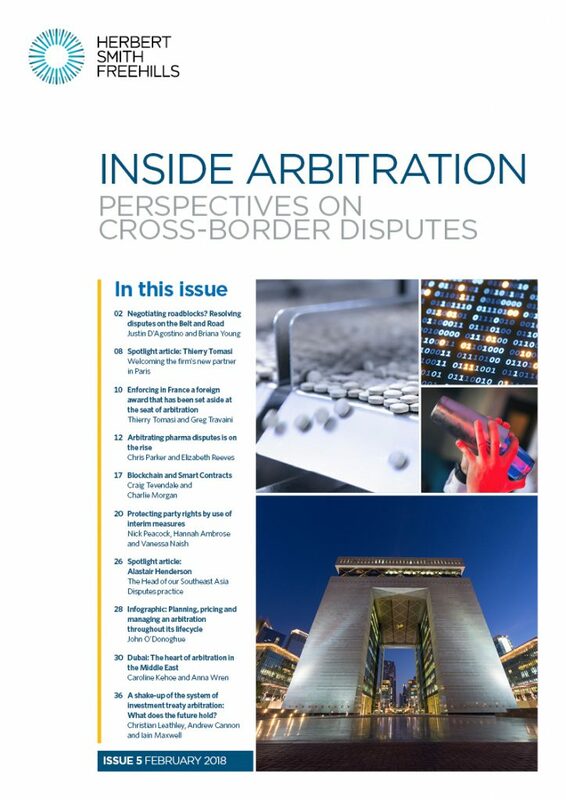 The judgment confirms, once again, that parties facing foreign proceedings commenced in breach of an arbitration agreement should bring an anti-suit injunction application as soon as possible after receiving notice of the foreign proceedings, regardless of any jurisdictional challenge in the foreign proceedings.